Review by AllTheBestFights.com: 2017-02-19, spectacular finish between Thiago Santos and Jack Marshman: it is close to get four stars (UFC Performance of the Night). Thiago Santos entered this fight with a professional mma record of 13-5-0 (69% finishing rate) and he is ranked as the No.26 middleweight in the world. Thiago ‘Marreta’ fought three times last year beating Nate Marquardt but then he lost to Gegard Mousasi (=Mousasi vs Santos ) and Eric Spicely. His opponent, Jack Marshman, has an official record of 21-5-0 (86% finishing rate) and he entered as the No.43 in the same weight class. He suffered his last defeat when he faced Abu Azaitar in 2014, since then he has won seven consecutive victories beating Magnus Cedenblad in his last one. 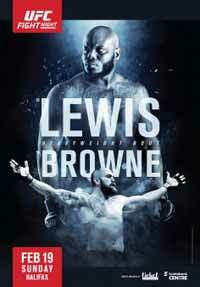 Thiago Santos vs Jack Marshman is on the undercard of Derrick Lewis vs Travis Browne – UFC Fight Night 105. Watch the video and rate this fight!